Małgorzata Swolkień was born in Kraków. She graduated from the Cracovian Academy of Fine Arts. 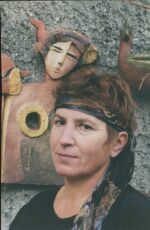 She received the diploma at the Faculty of Sculpture under the supervision of Professor Marian Konieczny in 1975. 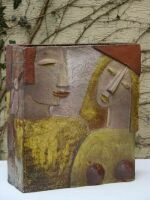 She creates ceramic sculpture. Her main material is grog. She obtains the colours by applying glazes and ceramic oxides. Ms Swolkień co-operates with many art galleries in Poland and abroad. Her works belong to museums, galleries and private collections in Poland, and also in Germany, Denmark, France, Austria, Holland and Canada.